How many of you wanted a hover board after watching Back to the Future 2? I sure did. Now, Mattel has announced that they will be releasing a usable version of the board which will ship in time for Christmas. 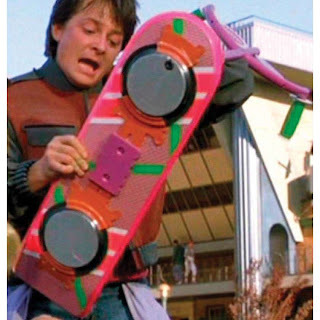 So if the world does end...at least we all made it to the point in time where hover boards exist! I need to find out the price for this bad boy. I MUST HAVE ONE! MUST MUST MUST! If you get one of these bad boys, can you lend it to me? Followed your blog from ninjamatics. Hope you will come check out my page also.